Colorado Cannabis Facility is a premier cannabis dealer with 5 years of industry experience starting in the medical side of the industry. With over 30+ strains in constant rotation, strain specific hash products, pre roll joints and all the edibles one could desire. We also stock pipes, papers, bongs, dab rigs and mobile vaporizers. 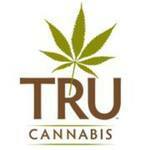 Colorado Care Facility (Recreational) offers top quality cannabis and reasonable prices. not valid with any other discounts!